In January 2007 Anwar Rashid 32, a millionaire moved to Clifton Hall with his wife, four young children, his brother and parents. 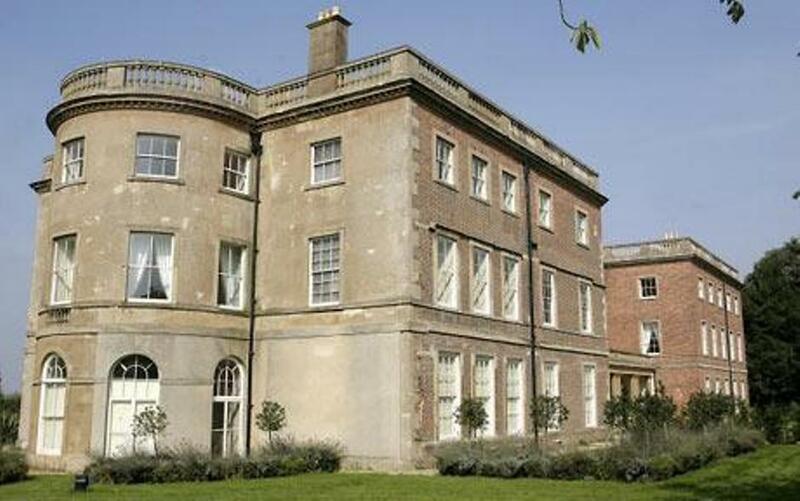 In the 11th century the Clifton Hall located in Nottingham, Nottinghamshire, England belonged to the Clifton family. In 1958 the property was sold and was converted in to a school. After a few years, a set of luxury apartments were planned there. Finally it became a huge private residence with 10 reception rooms, 17 bedrooms, 10 bathrooms, a cinema and a private gym. Anwar Rashid bought this thousand year old property to make it his family home. But, within eight months Rashid and his family realized that the huge mansion was already occupied and they had to leave the house for their safety. From the very first night of their stay, Rashid and his family started having strange experiences. They heard a knocking sound on the wall followed by man’s voice. He asked, “Hello is anyone there?” Initially Rashid ignored the voice then the knocking sound and the man’s voice came repeatedly. Rashid searched the house, but found no one. The doors and windows of the house were also tightly closed. The house then remained quiet for a few months. Then one day his maid reported of seeing a grey figure sitting on her bed. On an early morning his wife Nabila had a strange experience. She saw her eldest daughter watching television at 5 a.m. Nabila called her name several times, but her daughter did not answer. Nabila felt strange and went to her daughter’s room. She was shocked to see her daughter sleeping soundly on her bed. Soon the family realized that the ghosts had started taking the forms of their children. The family then began seeing dark shapes, heard sounds of a baby crying and voices of unseen people. Rashid then invited paranormal investigation team to drive away the ghosts. The team leader who was also a police officer said that the Clifton Hall was the only place which had scared him. Two members of his team saw a ghost of a boy and they fainted. They reported that the place was the most active site of paranormal phenomenon and they were unable to help. Before buying the mansion, Anwar Rashid had been warned about the strange happenings there. He did not believe them. Paranormal incidences were reported about the mansion from 1970s. The most common was about a sealed room, which was no longer accessible. People could hear baby crying from inside. Many reported seeing a woman in the same room from the window. It was said that a maid had jumped from the third floor window with a baby. Both the maid and baby had died. People believed that the ghosts of the maid and the baby were haunting the room. There were other stories of black rituals being performed in the grounds and secret tunnels located in and around the mansion. The stable there was a proof of this. A black circle in animal blood was drawn in the stable with broken mirrors scattered throughout its space. The place would have a pinchy smell of burnt herbs. Finally in August 2007, the family saw drops of blood on the quilt of their 18-months old son. That day the family immediately left the house. 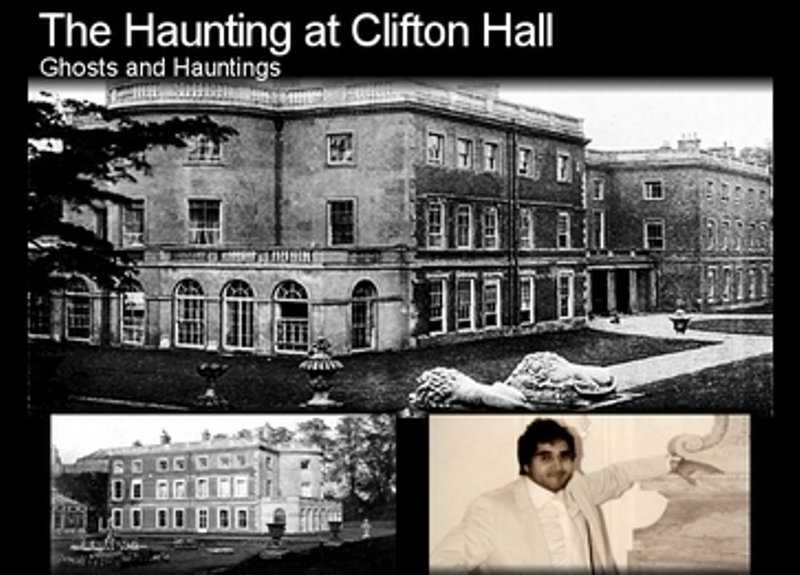 Rashid said that he had never believed in ghosts until his experience at Clifton Hall. He said that the ghosts in the house did not want them there.